Samsung Electronics’ earnings report for the second quarter of 2016 show the company expecting to record its strongest profits in more than two years. 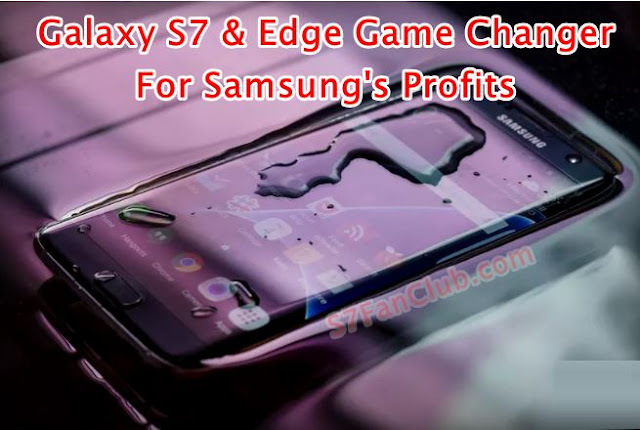 Samsung expects to have made about 8.1 trillion won ($7 billion) in operating profit off 49.8 trillion won ($43 billion) in revenue during the period between April to June, representing a 41 percent year-on-year bump in profit and 3 percent in sales. These record breaking sales are due to Best Selling Samsung Galaxy S7 and Galaxy S7 Edge. The results suggest Samsung’s best quarterly performance since it made an 8.49 trillion won operating profit in early 2014 before entering a slump that it’s only recently started to bounce back from. The figures are preliminary, though Samsung is usually accurate in its forecasting. When final earnings are released later this month, the company should provide further breakdown of how each unit has performed, as well as some indication of how well the Samsung Galaxy S7 and Galaxy S7 Edge have sold. How To Make Animated GIF Photos from Galaxy S7 | S8+| S9+?